Take a quick tour through the C-suite of any major corporation today, and there’s a good chance you’ll see some titles that weren’t there a few years ago: chief data officer, chief data scientist, chief analytics officer, to name just a few. Data is the element they all share in common, and it’s affecting more than just the executive ranks. In the business world’s headlong rush to collect as much data about as many things as possible as quickly as it can, a question has been left for later: How do you turn those massive volumes into practical value? Turns out, “later” is now, and there’s a crushing shortage of specialized data scientists. 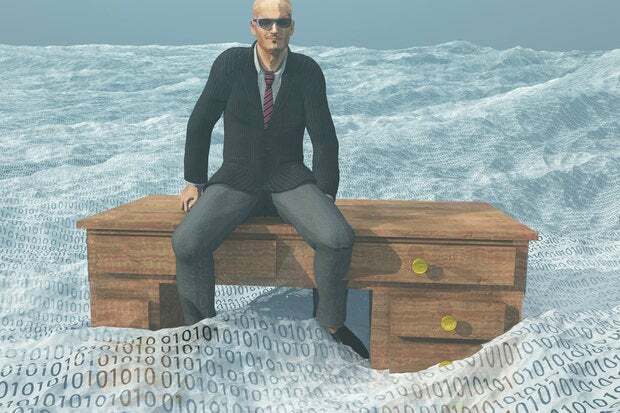 Few companies, meanwhile, even have a plan for bolstering their data talent. At virtually every level of the organization, staffers are being asked to cope with and find meaning in more data than ever before. That’s causing a significant shift in the skills required to get the job—any job—done. That’s easier said than done. Enterprise software vendors have begun incorporating new, easy-to-use analytics tools into their products, but for the most part, it’s up to companies and universities to help the workforce adjust to these new expectations. “As I see it, there are two real workforce training needs: the data analysts and the consumers of the analyses,” Camm said. For the former group, there are now more than 100 master’s degree programs in analytics and data science, up dramatically from just a few years ago, he pointed out. “Higher education has listened to industry and has developed some very good programs in analytics,” he said. Such programs are still rare, however. On the whole, universities traditionally don’t do a very good job of teaching business students how to use math and statistics, said Tom Davenport, a professor of IT and management at Babson College and co-author of Keeping Up with the Quants. DataCamp is a startup that’s focusing squarely on that problem. The 18-month-old company is building an online data-science school whose mission is to prepare students and professionals for the information economy with affordable, interactive data-analysis training. Current courses focus on topics including data visualization, dynamic reporting, R programming and large data sets. They don’t follow a traditional academic format, however. Rather, short video lessons and online programming challenges are used to teach the material, all of which is delivered through the browser. Some classes are free, but students can also pay a subscription fee of $25 per month or $250 per year for access to all the school’s offerings. DataCamp doesn’t offer degrees, but students earn badges and statements of completion for each course they finish.